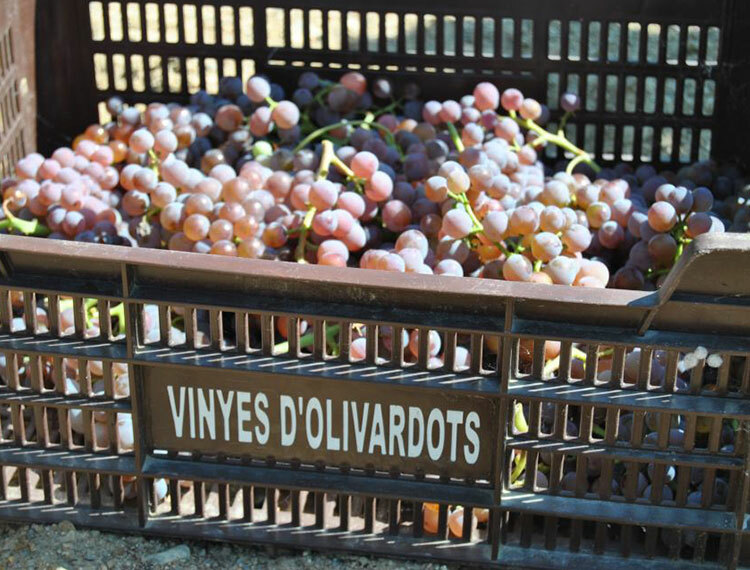 wines with personality that show the essence of the earth"
The grapes are harvested manually, cutting the clusters one by one and collecting them in small boxes of 10kg in order to keep them on the best conditions until they arrive at the cellar. 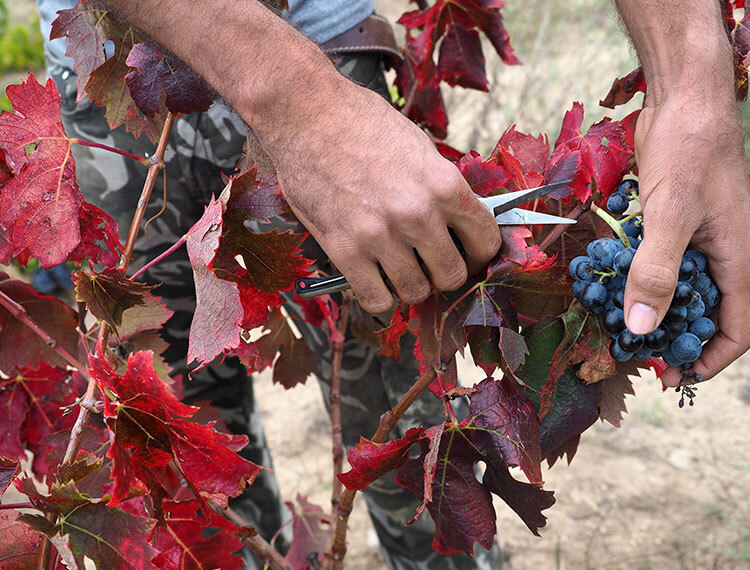 This technique allows us to make a first selection in the vineyard, choosing only the best grapes of each strain. When the grapes arrive at the winery, we make a first cold maceration in a fridge (2-4ºC) and the hardness of the grains increase. Then, at the selection table, the grapes are distributed by vibration, where a 8 people team works to eliminate over ripened and undesirable grapes for our wines. Transporting us to the origins of wine elaboration, storage and transport from more than 3,000 years ago, in 2013 we recovered this tradition to elaborate part of our wines. So, a recipient that lets the wine breathe and keeps it fresh. 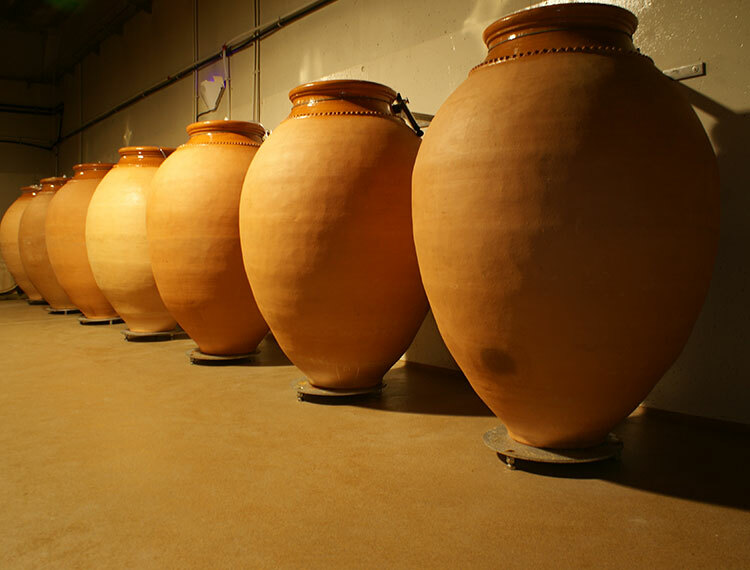 Clay amphorae respect the organoleptic properties of the varieties, the terroir and the work in the vineyard. 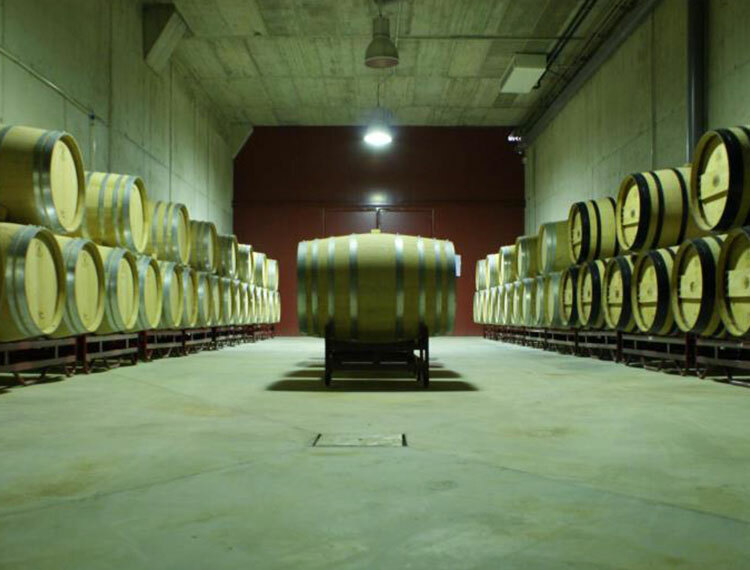 Inside, the wines ferment and age for 4 months, where they concentrate aromatically and gain smoothness in the mouth. After a long maceration and a gentle pressing, the wines pass by gravity to the French oak barrels, inside an underground and heated room, where they will make the malolactic fermentation and they will age between 16 – 18 months since we found integrate the different shades that give us the land, the vineyard and the noble woods.